Those were the days when the forest reverberated with the trumpeting of the elephants. Today a deadly silence lingers around this place. An unhealthy stench pervades in the air. The stench coming out of the decomposed bodies of the elephants. Seven elephants have been poached in the park in a span of two months alone. The very park that promised these magnificent mammals of protection. The Jim Corbett Park, the oldest national park of the Indian subcontinent, established on August 8 1936 and spread over two states and four districts saw the first spree of elephant poaching. 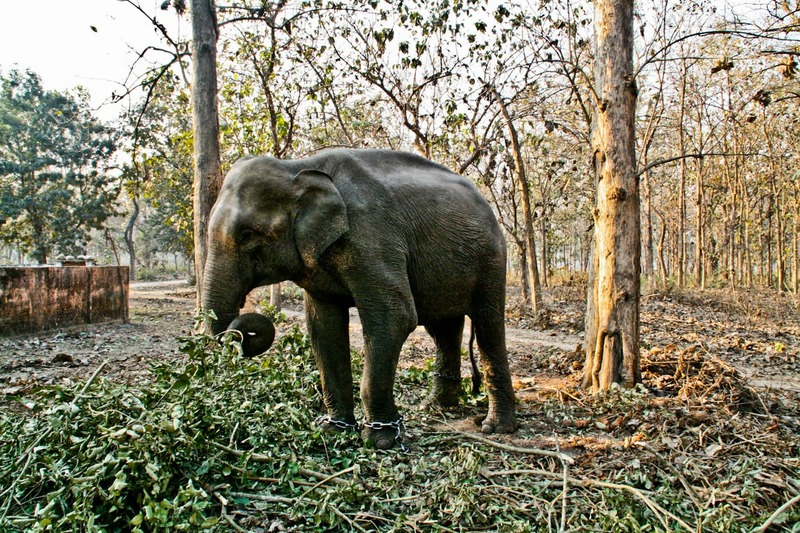 One of India’s largest elephant reserves, Corbett has 300 elephants, 90 of which are tuskers. But ironically just 60 guards to protect them. Man’s brutality towards animals was evident in the very forests where Jim Corbett shed tears every time he had to shoot a man-eater. The pictures that the cameras captured further reiterated that man could stoop to any level to quench his greed. 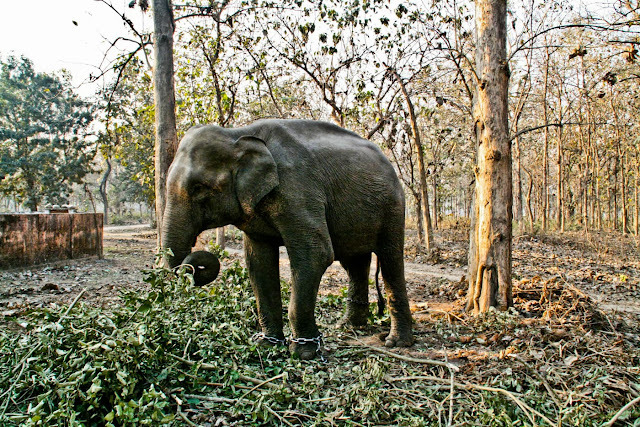 What makes Corbett particularly attractive to poachers is - a third of its elephant population comprise tuskers. It has been estimated that out of the 100,000 that once roamed around the subcontinent there are just 20,000 today. The male female ratio is a mere 1: 20. Out of these 1000-odd males only a few hundred have tusks. It is this small herd that poachers target. Live electric wires are used for trapping and maiming. Wildlife experts link the rise in elephant poaching to the lifting of the ivory ban by the Convention on International Trade in Endangered Species (CITES) at its 1997 Harare Conference. Though the ban was reinforced two years later, it hardly deterred the poachers: India lost 110 tuskers in 1997-98; another 102 in 1998-99. Veerappan alone has wiped out more than 2,000 tuskers in 3-4 years alone. Japan, China, Hong Kong, Singapore and Thailand have kept the market for the “white gold” alive. It is estimated that a poacher fetches a whooping Rs 15000 a kg in these markets. A truly lucrative bargain. Scientists to this day have not been able to find a foolproof method to distinguish between Indian/Asian and African tusks. This has encouraged the poachers further. One of India’s largest elephant reserves, Corbett has 300 elephants, 90 of which are tuskers. But ironically just 60 guards to protect them. Shortage of vehicles, walkie-talkies and weapons continues to make a mockery of policing national parks and wildlife sanctuaries. There is a crying need for trained personnel and advanced equipment to combat the poachers. The predicament lies in this fact that the guards despite their apparent determination to nab the culprits find it extremely difficult. There have been occasions when diplomats have visited farmhouses and gone for shikar in the night. This battle is not easy. The guards need modern gadgets, not lathis. They have to be motivated by providing higher salaries and better facilities. Administrators at the higher levels should take in a sensitive approach while coming to any conclusion in their cold chambers. Bureaucratic involvement can’t be negated in all these cases. The cleansing should begin from the top. Mere suspensions and dismissals don’t hold solutions for heinous crimes like these. Careful and effective planning is the only answer. Better the government chalk out an action plan lest the future shall hold nothing but, questions and questions alone.